With the increasing prevalence of opioid addiction across the nation and in the state of Maine, a local drug prevention coalition plans to continue educating youth on the consequences of drug and alcohol abuse through a series of TV and digital advertisements. PRESQUE ISLE, Maine — With the increasing prevalence of opioid addiction across the nation and in the state of Maine, a local drug prevention coalition plans to continue educating youth on the consequences of drug and alcohol abuse through a series of TV and digital advertisements. 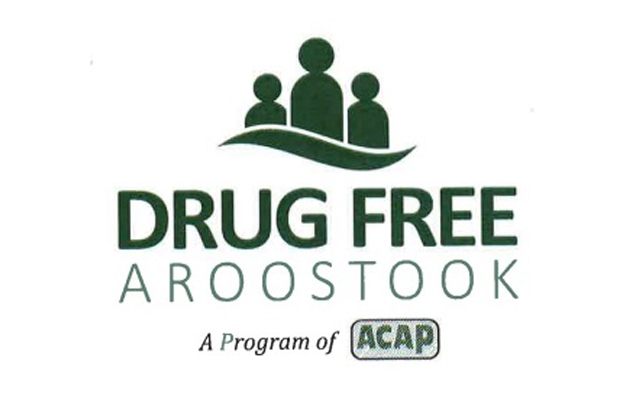 Drug Free Aroostook, a local coalition that is housed under Aroostook County Action Program and part of a federal drug prevention grant program, has spent the past few years developing and implementing TV and digital-based advertising campaigns that reveal some of the many myths associated with the consumption of marijuana, alcohol and prescription painkillers, which often lead to the usage of even more serious drugs such as heroin. Local television watchers might remember hearing the taglines “Just Because It’s Legal Doesn’t Mean It’s Safe,” referring to the legalization of marijuana in Maine, “Think Before You Drink” about binge drinking and “It Happens Here” about opioid and prescription drug addiction in rural areas of the country, including Aroostook County. Since recreational marijuana was legalized by Maine voters in 2016, the state legislature has seen much debate over what to do about the possibility of a retail marijuana market. In May a bill that would set a tax rate of 20 percent on marijuana products, give Mainers priority for commercial licenses and set health and safety standards for the market was vetoed by Governor Paul LePage. But lawmakers overturned his veto, with the law set to go into effect after the governor leaves office in 2019, according to a recent article published by the Bangor Daily News. ACAP community education specialist and DFA member Chris Haskell said that the mission of the “Just Because It’s Legal” campaign is to help teens understand that the legalization of the drug does not eliminate the negative health consequences. “We’ve found that teens tend to believe that there’s less risk associated with marijuana than with alcohol and other drugs,” Haskell said. But the reality of drug usage is much more grim, as portrayed in the many 15-second DFA advertisements. In one ad a teenage girl who is watching a high school basketball practice turns to the camera and says, “I know kids who smoke marijuana and play sports and have no problems.” An unseen narrator reminds her and viewers that marijuana use affects timing, coordination and movement, all of which are crucial to successfully playing sports. Another such ad opens with the image of two watermelon-shaped candies, one of which is a marijuana edible candy, sitting on a countertop. The question “Can you tell which one contains marijuana?” floats onto the screen while haunting music plays. A toddler reaches up and takes one of the candies. The words “Neither can they” reinforce how easily marijuana can be placed and consumed with foods that appear ordinary. While the “Just Because It’s Legal” campaign ran on TV and online last year, DFA released the “Think Before You Drink” and “It Happens Here” series in April, to run through Sept. 30. In an effort to educate teens about the consequence of binge drinking, one ad makes it clear that a “drink” actually equals much less than a full glass of wine or beer. Another ad reminds viewers that even in the rurally isolated towns of Maine, 418 people died from an opioid overdose in 2017. DFA members met recently to discuss where they want their ad campaign to go next. Many agree that they might want to remain focused on marijuana abuse prevention while also reminding teens that drug abuse not only affects them but the family members, friends and loved ones who care for them. “I think we need to continue approaching this subject with data and getting their attention in a way that helps them understand more about what is happening in their own communities,” Haskell said.